San Luis Obispo City staff is recommending that city officials agree to raise property taxes, promote marijuana businesses, reduce services and increase employee benefit contributions in an attempt to address a $8.9 million budget deficit. Amid declining interest rates, SLO’s unfunded pension liabilities hit $148 million in June 2016. As pension costs have shot up, so has the city’s budget expenditures. 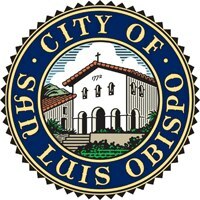 In 2002, SLO’s general fund budget was approximately $35 million. General fund expenditures, the majority of which are staffing costs, are projected to rise to approximately $85 million by 2022, according to the five-year forecast. City officials presented the deficit issue to the public at a forum in October, in which they offered potential solutions that included charging residents more for city services, cost-cutting measures and employee concessions. On Dec. 12, city staff plans to provide the SLO City Council with a report that addresses the projected budget gap. The plan includes implementing offsets totaling $8.9 million annually by fiscal year 2020-21 that could allow money to be set aside for increased payments to CalPERS. “1. Cut 30 to 40 percent through operating reductions and new ways of doing business. “Expected to total approximately $3 million over a three-year period, operating reductions and new ways of doing business could include operational efficiencies, staff reorganizations, proactive fiscal management, and improved debt and investment management. “2. Cut 20 to 30 percent through employee concessions. “In keeping with the city council’s adopted compensation and financial responsibility philosophies and labor relations objectives that include cost sharing of employee benefits such as health insurance and retirement, the recommendation assumes approximately $1.7 million will be achieved through employee concessions. The city is obligated to meet and confer in good faith with its represented employee groups regarding the impacts of changes to wages, hours, and/or working conditions. “3. Cut 30 to 40 percent through new revenue sources. “Cannabis taxation: $500,000 growing to $3 million annually by 2020-21. The estimates are preliminary and based on all the uses allowed by state regulations. Actual revenues collected would depend on the range and scale of activities allowed in the city, as directed by council and guided by public feedback. After the bottom fell out of the housing market, the majority of cities in California tightened their budgets to work under reduced tax revenues while a few increased staffing and fees to residents, temporarily masking the growing debt. Over the past 10 years, SLO has budgeted for an additional 47 full-time staffer and has the highest ratio of employees to citizens in the SLO County. City staff points primarily at CalPERS declining rate of investment returns as the driving factor in the city’s budget shortfall. Regressive ideology never involves cutting spending. It always solves its spending by raising taxes. Don’t give in to it. The City of San Luis Obispo should initially meet their shortfall by selling their real-estate holdings that are not within the city limits. Another creative consideration would be to charge all residents tuition to add a sense of reality into the city’s infrastructure. Jorge is correct! Simply take a portion of city owned land, rezone it for 60 dwelling per acre (use these sites as mass transit hub(s)), charge minimal development fees, and then sell the site(s) off to a developer(s). The proceeds from the sale would evaporate the city’s debt. So the recommendations are to start running the City in a fiscally responsible manner, and try another gouge at taxpayers!!! The one thing the article doesn’t bring into focus is that when a City tries to leave Cal Pers they have to pay based on actual returns on investment, not on hoped for returns. Cal Pers lowered there return on portfolio from 7.5% to 7% and Cities are crying over it, think what would happen if Cal Pers lowered it to a more realistic number based on actual returns, like 4% to 5%!!! Can’t get out of debt obligations by declaring bankruptcy if you have the ability to repay. Oh Katie! When she left that had to be the first indication that they had finally got caught doing a horrible job. How much more can they keep charging the taxpayers for their complete failure after we have paid for the best and paid the most? Interesting with all of the ideas of maybe becoming efficient? What a concept. Just to show an example of how efficiency can work all one has to do is monitor the bridge replacement on Hwy. !. Why can’t that concept be business as usual? I think it’s called bureaucracy or job security. I can’t think of any occasion where government ever tried to be efficient. I hope the people of SLO hold there ground and just say NO. They made their bed and now they can lie in it after they clean it out. Oh and I forgot that this will certainly affect their affordable housing projects. As I have always said the government is mostly the cause for the housing costs and this is a perfect example of it. More taxes and fees they think that will take care of everything. The Voters are not going to vote in yet another Tax Increase to pay for ludicrous perks, pay and pensions of the “public employees” . Take out the budget Axe Folks….the Chickens have come home to roost.